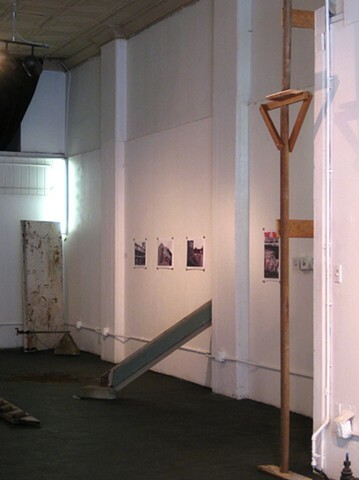 "Displacement" was installed at Future Tenant Gallery Space in Pittsburgh, PA. The exhibition featured the work of artists Phil Hessler and Natalia González Requena, who used an expanded definition of drawing to consider the formal and political status of industrial detritus. Through the use of sculptural installation, photography, and site-specific notations, they re-present the remnants of industry; now displaced in space and time.